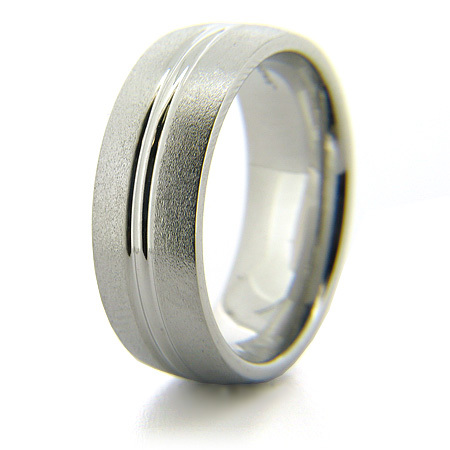 Cobalt chrome ring has a stone finish and polished grooved center. Ring width: 8mm. Deluxe comfort fit. Weight: 9 grams. Made in the USA.